Does My Church Need a Mobile App? 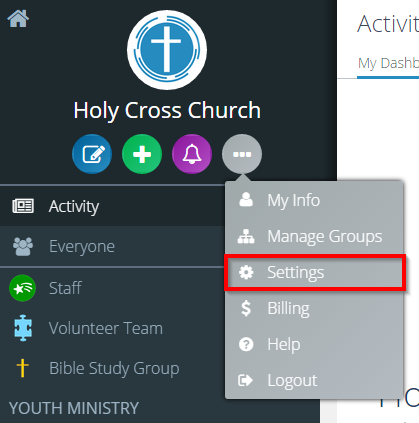 What are Church Apps? Does your church need its own mobile app? I’ve traveled the country for years speaking to tens of thousands of church leaders. And at every event, without fail, somebody asks…what about mobile apps? Does my church need a mobile app? What are they exactly? Aren’t they the future? Shouldn’t we be investing in a mobile app for our church? Now, there are many types of apps, mobile and otherwise. But when somebody asks me this question, they are typically referring to a stand-alone, native, downloadable mobile app from the App Store specifically for my church. First, they forget that the vast majority of these kinds of apps fail (are not used, or don’t solve the intended problem). Here are some quick stats for you. 23% of people who download an app use it once and never go back. More than 50% of apps are deleted within a month. 96% are deleted in less than a year. 50% of people don’t ever download additional apps on their phone in the first place. Yes, a relatively small number of apps are changing the world in big ways, but most mobile apps have been a complete waste of time. And most churches are playing catchup when it comes to technology. We don’t have time to waste! Unfortunately, you have a lot of churches who just want an app so they can say they have an app. Because they think it’s hip or fun. They think it’s the future or it makes them feel high-tech. Because they think it’s going to solve their communication problems. Or it’s going to magically make the young folks start listening and showing up. These are bad reasons for an app. Not only is it not going to solve those problems, but you’re going to waste a lot of time and resources in the process. Why? Because the vast majority of apps ultimately fail. We have to be smarter about how we answer this question…which brings me to the second reason so many churches go wrong with mobile apps. The second reason so many churches go wrong with mobile apps is that they really aren’t asking the right question in the first place! With any technology or tool, you should not begin with “do I need this technology?” You should begin with the problem you want to solve. You start with the goal you want to achieve. Only then can you possibly decide which tools and technologies you should then use. A problem that needs solving. A problem that a mobile app can solve better than anything else can. They start with a function, a purpose, a problem that needs solving, a real need that people have. Like helping you track your calories, give you directions, talk with your friends, play a game, talk like a pirate, track your finances, turn yourself into an emoji, read the Bible, or even discover Pokemon walking around you right now. They can help you do a lot. But they begin with a problem to solve and a problem that an app can solve better than anything else. So churches must ask #1) what problem am I trying to solve? And #2) is a mobile app the best way to solve that problem? And if so, what kind and how? So lets apply that to a church…and look at some of the problems churches are trying to solve by getting their own “native” mobile app for their church. Helping people pray, read the Bible or get the daily readings — All great things. The problem here is that there are already hundreds if not thousands of apps out there (many of them free) dedicated specifically to helping people pray, read the Bible, get the daily readings. And most of them are much, much better at helping your members pray than your own church app is ever going to be. So this is generally not a problem that is best solved with your own church app. 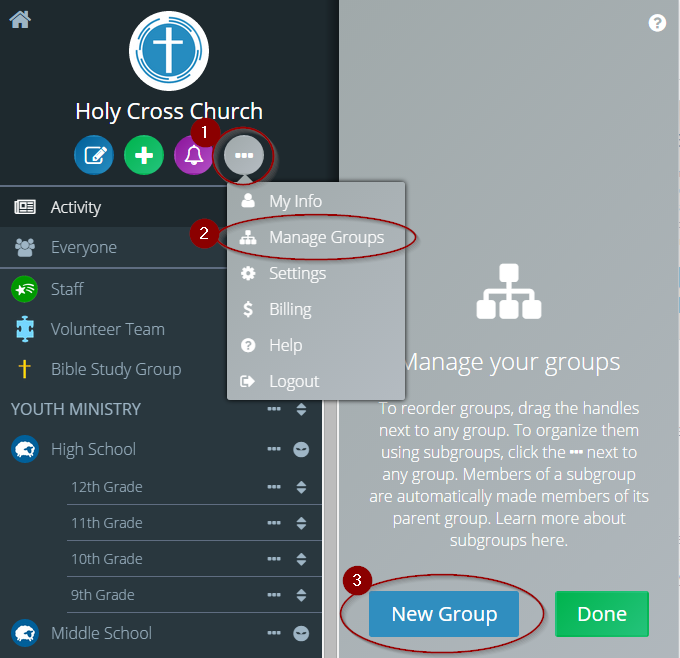 Helping members get information from your church — Is this a problem that needs solving? Absolutely. Is a mobile app the best solution to solve this? No. Let’s say I’ve gone to the trouble of downloading my church’s mobile app (which is unlikely for the average church goer), And I need some info from my church (like mass or service times or some info for a special event this weekend). I still have to find the app on my phone, which usually means swiping through pages or hundreds of other apps. Then wait for it to open. Then I have to figure out how to navigate to the information I want within the app, then read it. But your members won’t do this, why? Because there are way easier ways to get the info. They’ll simply google it (or ask Siri, or Alexa, or Jarvis). It’s way faster and more efficient (as long as your church has a good, up-to-date, mobile responsive website, which is far, far more important than having a mobile app). I just say or type, “mass times, holy cross church” and the info pops up. So this is also not a problem that is best solved with your own app. Managing financial giving or registering for things, etc. — Here again, this is simply not a good way to solve this problem. It’s far easier (and far more accessible to more of your people) to either email or text message them a link to your mobile website where they can do those things. So If you’re looking for the best way to solve that problem for the most people in your church, you’re drastically better off making sure you can text or email them a link to your mobile website with that capability. And actually the last thing you want to do when trying to get your people to give financially or register for an event is to make it harder for them to do so by requiring them to download your app first! Communication! — This is probably the biggest reason many churches like the idea of an app. I mean, isn’t a push notification from a native mobile app the best way to reach someone today? No. It’s not. And the reason becomes obvious when you consider the facts. In practice, your church’s mobile app is primarily only downloaded by the people who are already most engaged at your church. In other words, your church app will help you reach the people you’re already reaching. But the problem for churches today is not that we can’t reach the people we’re already reaching. (These are the people already reading the bulletin, fans of our Facebook page, going to our website and jumping through any hoop we ask them to jump through). This is typically maybe 7% of your members. Think about it another way. Almost every restaurant or store you go into now has signs asking you to download their mobile app, right? It’s the latest marketing gimmick. Which is part of the reason we think we really want one for our church. But how many of those apps have you ever downloaded? And what percentage of their customers do you think download that app? The only people who download those apps are the top few percent, most engaged, most loyal customers. And only if the app actually offers some additional value that they can’t get somewhere else. The problem we need to solve? The problem we need to solve is how do we reach all those other people — the 93% who are not fully engaged. Who are not already involved. Who are not already giving. Who are not already showing up to everything. And who, you guessed it…are not going to bother downloading your mobile app. We have 6 of those people drifting out the back door of our church for every one that joins the church. It doesn’t make a lot of sense to spend so much effort trying to communicate with the 7% we can already communicate with. It doesn’t help solve the biggest most imminent problems we have. At Flocknote, we work with 1000s of churches from all over, and so we have a lot of real data on this from churches who have tried their own stand-alone app (used right along side Flocknote). 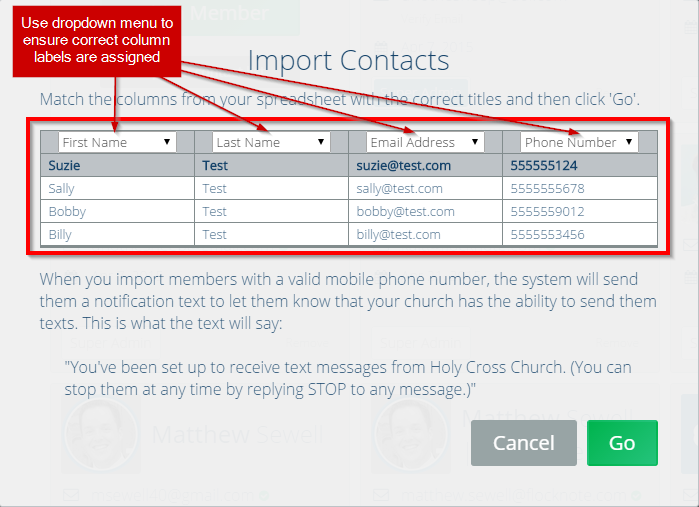 And so we know that on average, churches can reach 4-10 times as many of their members by using email and text messaging with Flocknote as they can with their mobile app. It’s a lot easier to get somebody’s email address or mobile phone number than it is to get them to download a mobile app…then turn on push notifications…then keep push notifications turned on…then re-download the app every year or two when they get a new phone. This is simply not the best technology to solve the problems that need solving. It’s not the technology we should use to capture and nurture these most important relationships. And it’s especially not for the 93% of your members who are simply not that engaged yet. That’s why email and text messaging are still far more powerful and important for solving the biggest communication problems in your church. People rarely change their mobile phone number or email address any more. In fact, their email address and mobile phone number are like their new home address. These change less than their physical mailing address. This is where you’ll be able to reach them in between Sundays and it’s where you’ll be able to reach them if they stop showing up on Sundays — whether that’s in 6 months or 6 years. And it’s the best way to get any other info from them, get them to click your link, sign up for online giving, volunteer, get their feedback, send them to your website or anything else you’d like them to do. That’s exactly why we’ve uniquely designed Flocknote to work the way it does. Because we didn’t start with a particular technology. We started with the biggest problem that needs solving, and then chose the best technologies available to solve that problem. 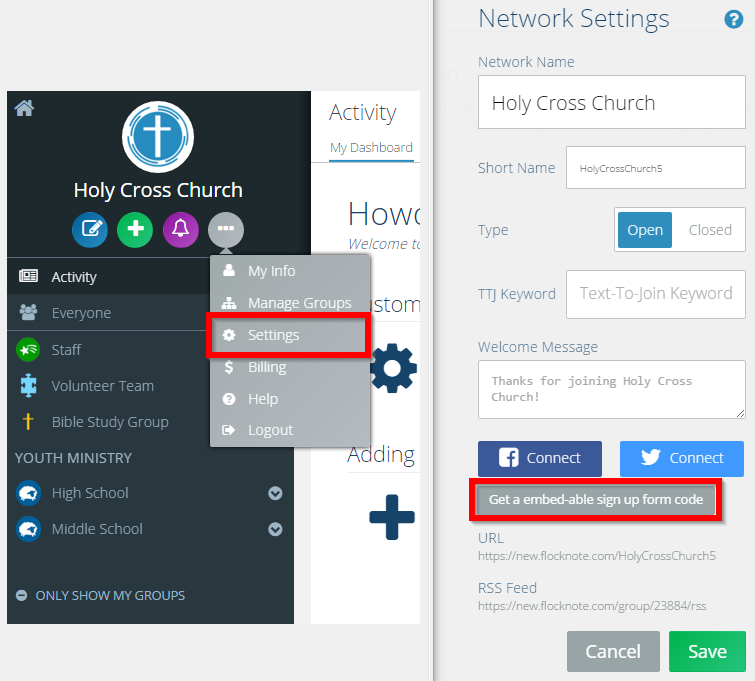 As a result, Churches and ministries using Flocknote can reach their members in their most important inboxes, the ones they’re already checking every day all day, without them having to download anything or log in anywhere. Oh, and we also utilize both web app and native mobile app technologies. So yes, Flocknote has it’s own app you can download from the App Store, and many church admins and their most engaged members will do that. But we designed the system to be able to still reach and hear back from all those other folks (the 93%) that we need to talk to and hear from most. And we do that via the two most powerful communication channels today — email and text messaging. And we help you do it smarter, too. So remember, regardless of the issue, start with the right question: What problem are we trying to solve? Then choose the technology that will best solve that problem. I’m not saying the answer to that question will never be your own native, mobile app for your church. Maybe you have a specific problem or unique situation that rightly calls for it. And the technology is changing all the time. But most churches are starting with the wrong question. Which leads to the wrong answer. Which means they end up wasting time not solving the real problems that need solving. So make sure you start with the right question. It will make you much smarter about how you use technology!